Retail Excellence had partnered with Facebook to provide training to retailers to enhance their digital strategies through their platform. RETAIL EXCELLENCE IRELAND has suspended its partnership with Facebook after a documentary that aired last night claimed thousands of reported posts remained unmoderated and on the site. 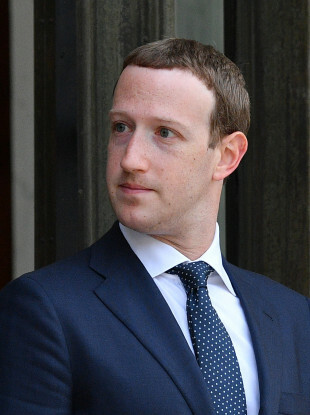 A reporter – who went undercover at Facebook offices in the UK and Dublin for a Channel 4 Dispatches investigation – found that violent videos, including assaults on children and images of self harm, all remained on Facebook after being reported by users and reviewed by moderators. This violated Facebook’s guidelines and in a blog post, the company acknowledged that some of the contents of the programme fell short of “the high standards we expect”. Speaking to RTÉ Facebook’s public policy manager Siobhan Cummiskey said, “The allegation that we leave up this content to make money is absolutely untrue, and actually the opposite is true. Nobody wants to see this type of content, our advertisers don’t want to see it. You don’t want to see it … that’s why we’re working very hard to bring our policies and our operation to a place where people feel confident. “We do not leave up hate speech on our platform, we remove hate speech when it is reported to us and we also take proactive measures to remove hate speech from our platform. We do not tolerate hate speech on our platform. She added, “We have signed up to a code of conduct with the European Commission since 2016, they monitor our ability to comply with the Code of Conduct and we have been outperforming their expectations in removing that content. The next Retail Excellence – Facebook training course was scheduled to take place next week. Facebook were also expected to address delegates at Retail Excellence eCommerce Conference on 19 September. However CEO of Retail Excellence Lorraine Higgins said based on the revelations from the documentary, the company has “decided to suspend our partnership with Facebook until further notice”. As a representative body which promotes standards of excellence amongst retailers it would be wrong for us to continue our partnership where they have fallen short. Facebook bosses are expected to be called before an Oireachtas Committee to answer questions on the controversy. Green Party Leader Eamon Ryan said, “The revelations on Channel 4 last night about the monitoring and management of harmful content on the Facebook platform raises serious questions about the company’s business model. In no other walk of life would you be allowed to profit from providing a platform for hate speech or the other harmful material which were seen to be tolerated in this excellent piece of undercover reporting. He said that as the home of the European headquarters of most of these social media companies “Ireland has a special responsibility to help set the right regulatory standards”. He also added that the Data Protection Commissioner needs to take a much more direct role in monitoring what the company is doing on a day to day basis. Meanwhile Fianna Fáil’s Timmy Dooley said the “only way” to ensure that Facebook removes offensive material from the website is by fining them for not doing so. The party’s communications spokesperson said he believes an Irish digital safety commissioner should have the power to sanction and fine Facebook if it ignored policies put in place here. Email “Retail Excellence suspends partnership with Facebook after undercover reporter exposes violations”. Feedback on “Retail Excellence suspends partnership with Facebook after undercover reporter exposes violations”.